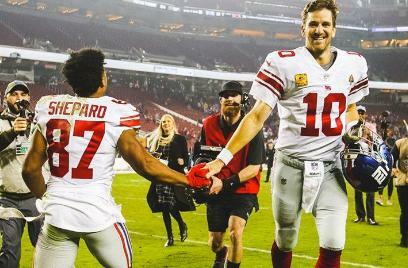 The New York Giants went into San Francisco Monday night and defeated the 49ers. The final score was 27-23. The game came down to a final drive and final play. There were plenty of plays to enjoy in this game. Two interceptions, two Odell Beckham Jr. touchdown receptions and a game winning drive led by Eli Manning. When it comes down to the end of the season, each win actually hurts the Giants more than it helps. However that doesn't mean a game like Monday Night wasn't enjoyable. It's nice to know that the Super Bowl is back on for Big Blue! Editor's Note: The Super Bowl is absolutely not back on, but it was fun to bELIeve for once this season.